With the Profumi del Forte perfume collection, Enzo Torres pays a wonderful homage to the beautiful things in life and to his Italian home of Tuscany. Memories of wonderful and unique moments are evoked and visualised by his glorious perfume scents. Passions, experiences, emotions that seemed to be lost forever but yet were merely sleeping in our innermost depths are awakened. 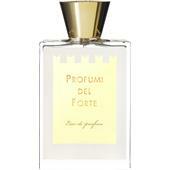 Profumi del Forte awakes memories of a care-free summer day in Italy, of the smell of the sea, the sun-drenched pine groves, sandy bays interspersed with rugged coastline. The distinctive yet delicate perfume lets fascinating chords sound within us and revitalises our senses. The exquisite essences are made from excellent raw materials. In making his compositions, Torre takes the greatest care and uses the highest craftmanship to combine the aromas in sophisticated, perfect harmony. His multifaceted collection is absolutely a homage to beauty. In creating his inimitable fragrances Enzo Torre thought about a relaxed bike trip under the shade of expansive pine trees, the majestic villas along the coastal roads, white boats sailing through the crystal-clear, malachite-coloured waters of the Tyrrhenian Sea, bitter-sweet apéritifs in the Corso bar, mild evenings with dear friends under a twinkling heaven of stars. 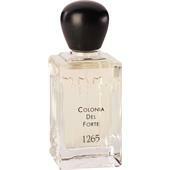 The exclusive Profumi del Forte fragrances from Enzo Torre combine a vivid joie de vivre with a magical mysteriousness. They embody the casual, elegant Italian style of life, the unconditional surrender to joy and the richness of life’s experiences. His fragrances are sensual treasures, which convey his own personal interpretation of memories and take the wearer on a highly individual journey.